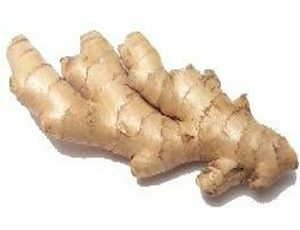 Ginger is my root of choice this week because of it's healing properties and it's also one of the very first things I teach my students how to use. Why? Ginger affects and can stimulate soft muscle tissue, this makes it good for settling a bad stomach, getting rid of constipation, easing menstrual cramping, shortening or scheduling the menstrual cycle (you can use it to restart your period as close as one week after your last one. great for planning vacations) , shortening menstruation (my shortest was 3 days), fresh ginger is known for aiding in easing respiratory ailments. I don't actually know everything about this plant as it has 2 large pages with small print dedicated to it while others herbs in this book only have a few paragraphs. The book in question is hand written by a long deceased auntie of mine. Though I do know that if you are pregnant you should not have too much of it. My auntie wrote less than 1 gram a day but I would be on the safe side and say not to touch it at all while pregnant. If it affects smooth muscle tissue of your womb then best not to mess with it while carrying a baby. I mostly use it for it's digestive and menstrual help as those happen to be the most common upset I'm faced with. When teaching students I warn them about the pregnancy danger but after that they are usually encouraged to find out other uses on their own. (yes I also warn them to turn safe search on. Though I forgot with one person and they now blame me for images they cannot get out of their head.) Most of these students then go on to give themselves explosive diarrhea. The kind you get from eating too much spicy food. Now to back up my auntie's knowledge I have done research on my own and loved the book "The Desktop Guide to Herbal Medicine" by Brigitte Mars, A.H.G. This herb although does not grow near where I live is still great as I am mostly a kitchen witch and ginger can be found in most if not all grocery stores. My cupboards are never ginger free. I cook with it and am even as I write this sipping on some ginger tea to help my menstrual cramping. It's a great over all root and I wish more people knew what to do with it and have it on hand. Secondly: would you mind if I linked to your post about the super moon? I wanted to do some research on the matter and wanted to share where my inspiration came from. yeah I tend to miss months at a time sometimes and this time around I went 3 months before I remembered it. I wasn't planning on having it on the full moon but it worked out great. I'm on the forth floor of an apartment and I miss my old greenhouse, I try my best to grow things on my kitchen table but I am only able to keep a supply of; sage, basil, parsley, rosemary, garlic and oregano. Lentil sprouts as well if you count the 2-4 day sprout time. I do maybe 90% of my work in the kitchen and even find myself doing things in the kitchen without meaning to. If I'm not a kitchen witch then I don't know what is lol. And yes feel free to link to my supermoon posting. I'm finding it hard to believe how little people knew about this one, the last super moon that was in the news brought with it tales of natural disasters and the ends of the world. This one was relatively quiet except for the zombie on stilts. Hmm, we'll see, I assume I will need more than only one cup. I grew radishes on the balcony last year, and they failed. I'm not doing any balcony growing this year as I just don't have the room.